I've been a little MIA of late as I've been engrossed in "The Help" which I hope to read by Sunday so that I can see the movie. Love it to far! 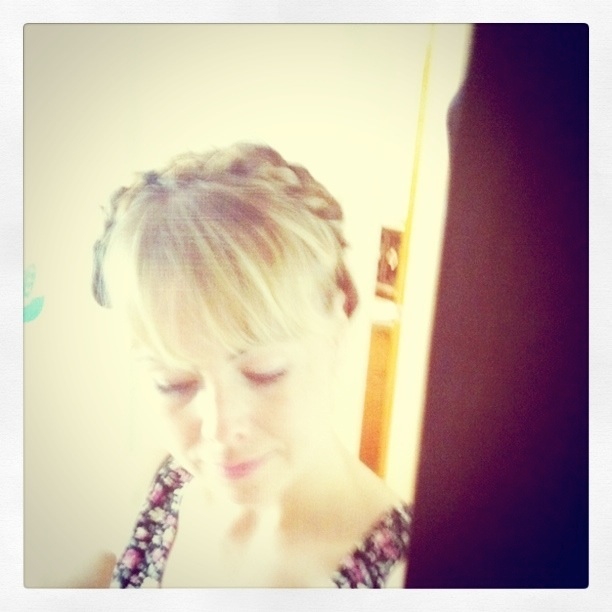 I did, however, have time to braid my hair yesterday and even clip it up, Heidi style. It's been awhile since that's happened (we used to wear our hair like this for character ballet dances when we were kids). This weekend will be spent dreaming of baking this and this though I'm really not sure it's likely to happen (hence the dream). Instead, I'll be shaking my money maker at Zumba and chillin' with my little men while the huz earns some extra moola.